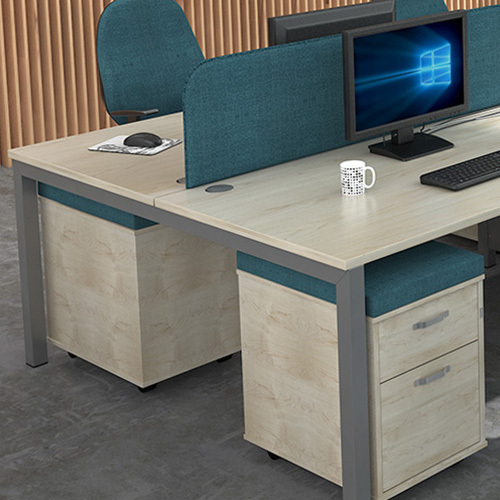 As bench solutions are becoming more popular and mainstream in open plan offices, the Connex range has been developed in response to modern office design and is a more cost effective alternative to the popular Adapt II benching solution. 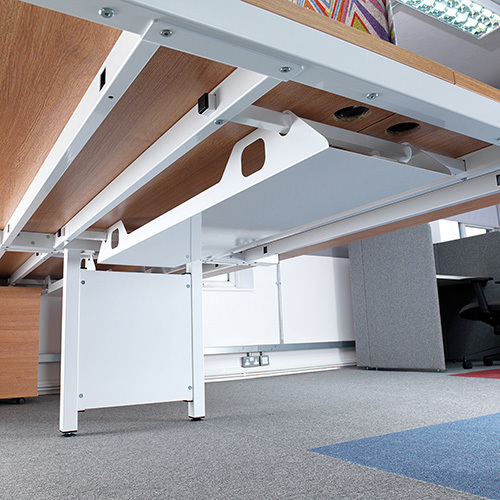 Through its twin fixed beam steel frame construction, Connex is robust enough to cope with the rigours of a busy office and is an ideal modular system for high density office spaces. 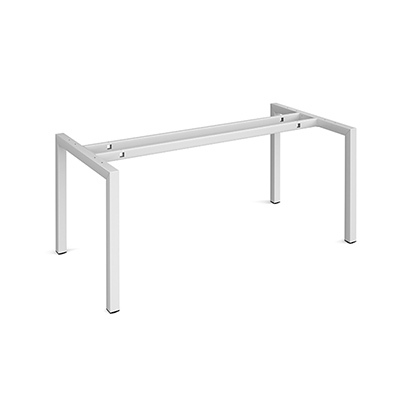 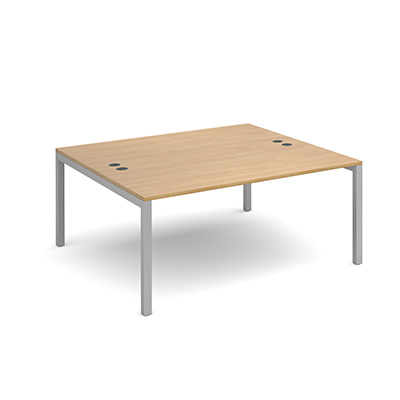 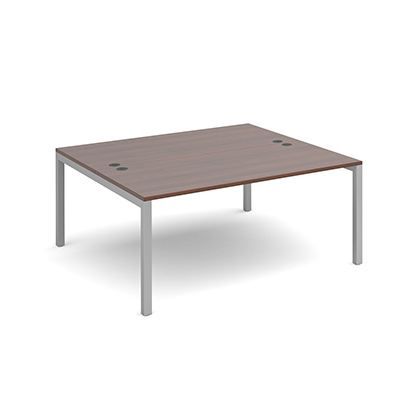 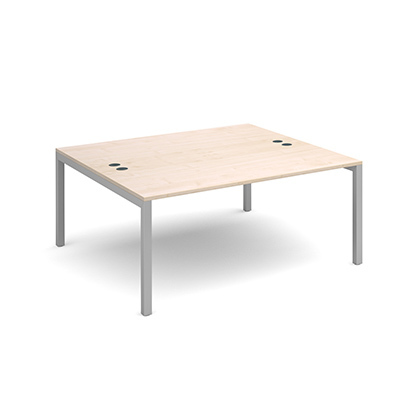 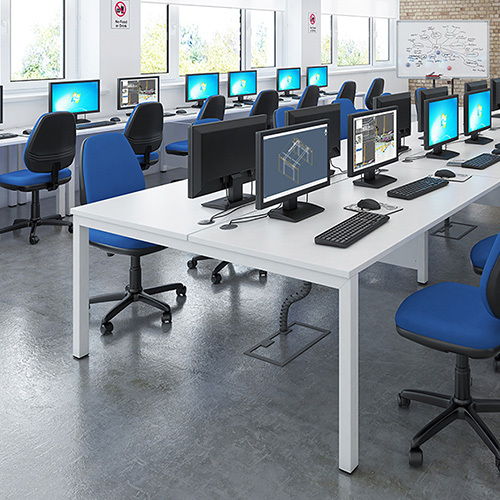 Connex bench desking is based on one principle – simplicity. 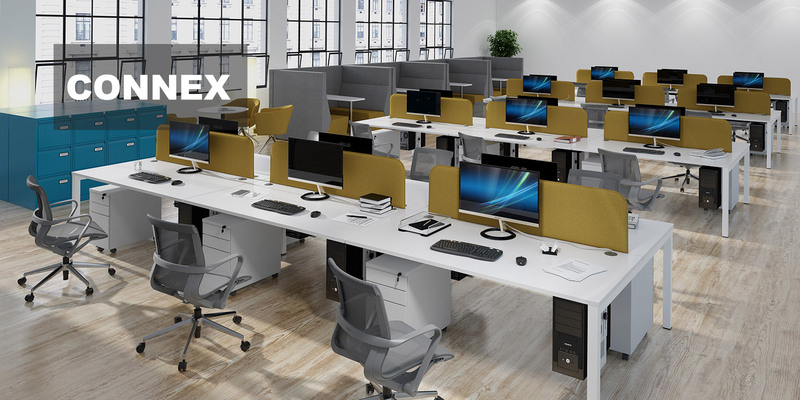 With its clean lines and elegant form, Connex offers a choice of classic tried and tested configurations from a single desk to hundreds of workstations in a wide variety of sizes to fit any office space. 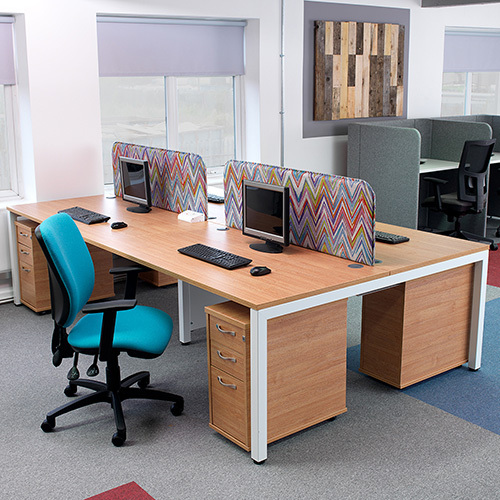 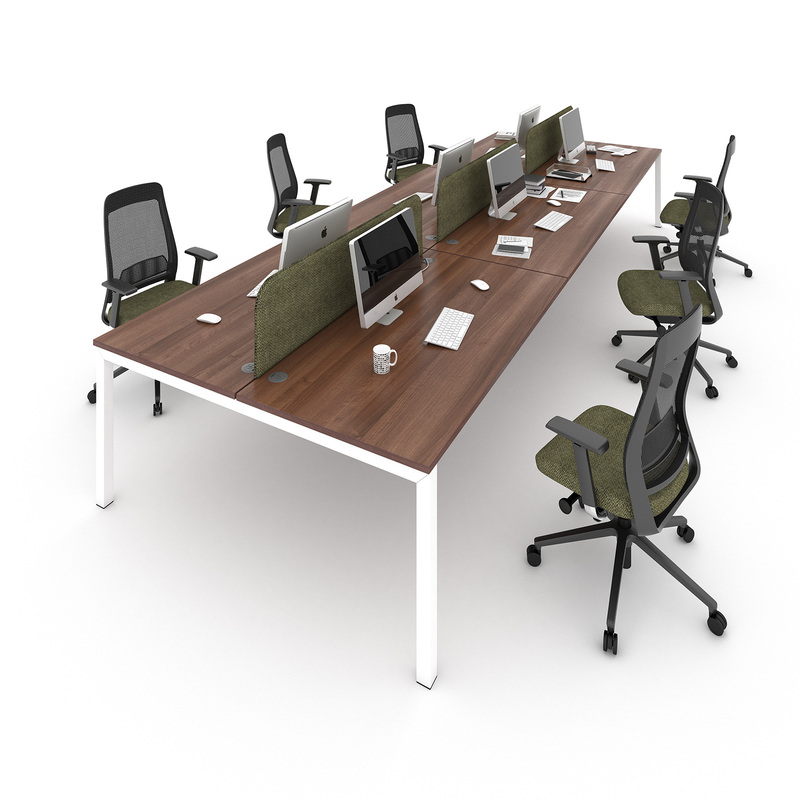 The legs can be shared between bench clusters, which not only look aesthetically pleasing, but save space and decreases costs, whilst incorporating very effective cable management.